I dreamed I saw Willie in the clear watery stream. Sayin’ “Fare you well Willie” and go weepin’ away. There’s deep and false water in the Lakes of Champlain. 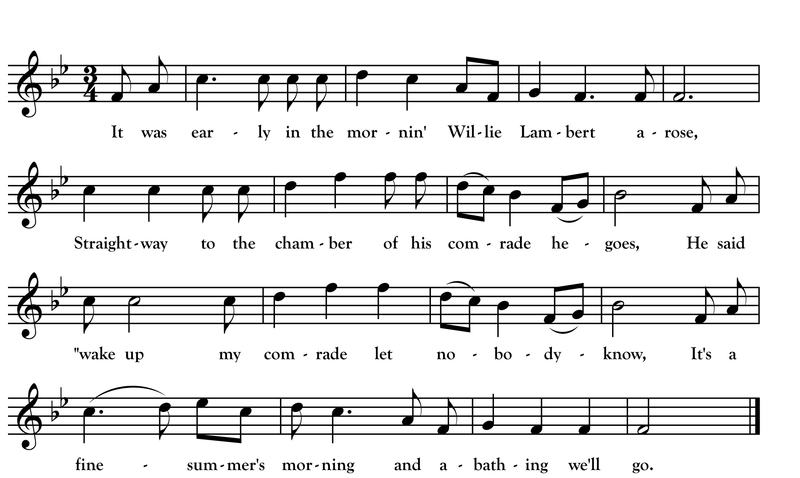 I recently had the opportunity to accompany my friend (and sometimes performance partner) Sara Grey for some concerts out in New England and Sara introduced me to this beautiful American version of what in Ireland is usually called “Lakes of Coolfin” or “Willie Leonard.” Sara’s version is a composite of a few collected in Vermont and I transcribed it here from her singing with help from the text she prints in her book Song Migration from Ireland & Scotland to North America.